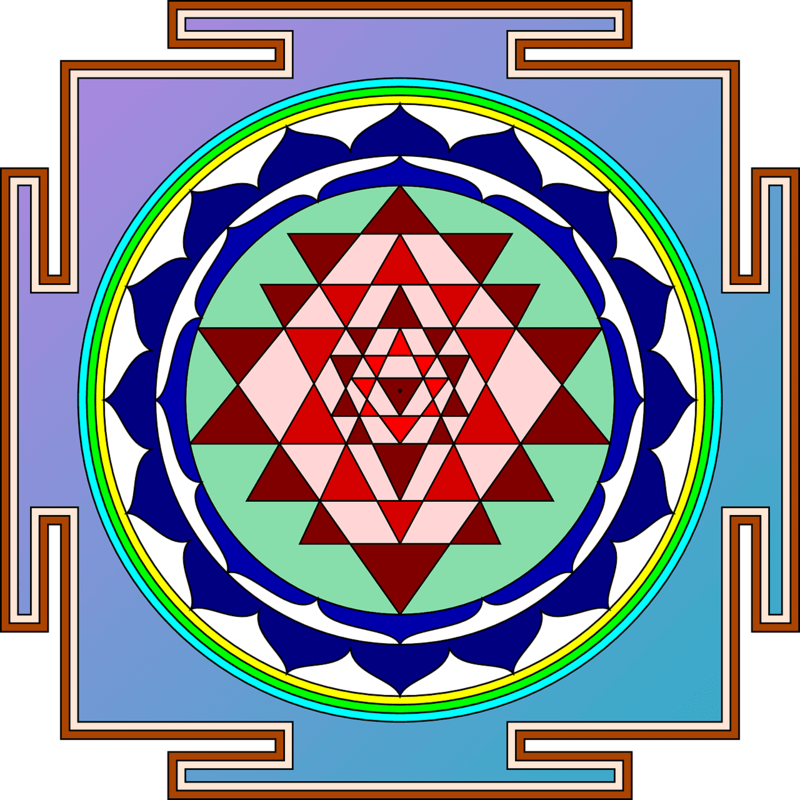 Sri Yantra is also known as Sri Chakra (meaning of Chakra in hindi language is Circle). It is symmetrical yet complex geometrical figure is used as symbol of devotion and meditation in Indian mythology. This symbol has been thousands years old with unknown origin. 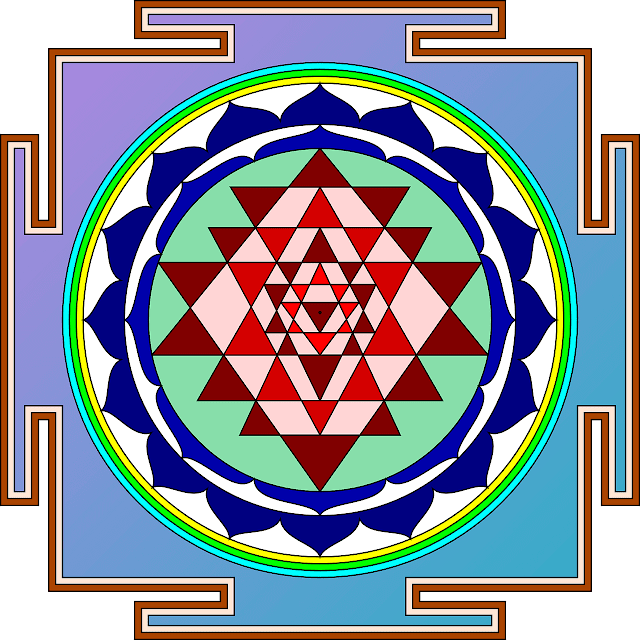 Sri Yantra can be used to increase your concentration and brain power. Try to concentrate on the dot in the center. Your attention will move from one part of the figure to another part. It will increase communication between left and right brain and helps to increase concentration.